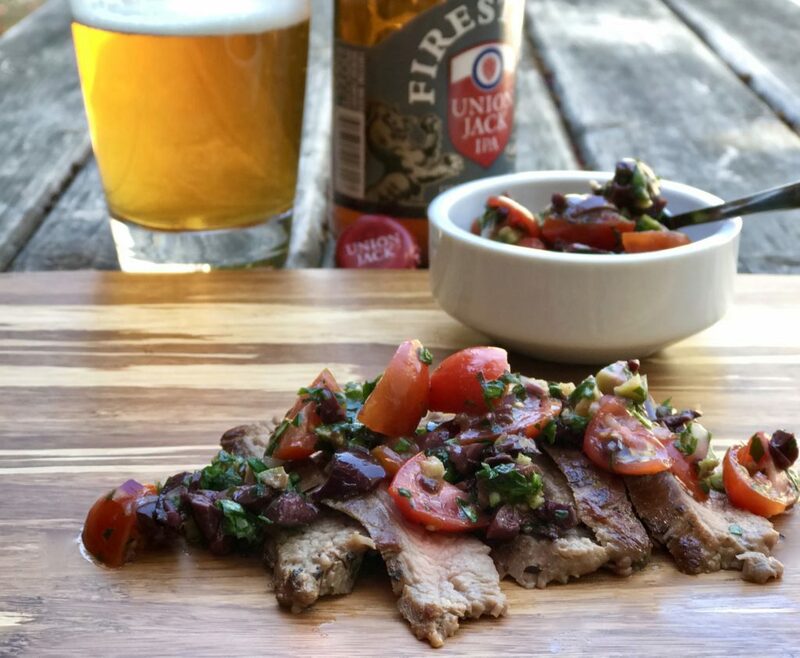 Herb-crusted flank steak with tomato-olive relish should be in your recipe repertoire no matter what. Seriously, if you are a beef eater, it’s a keeper. A simple fresh herb coating brings great earthy flavor to this dish. The sweetness of ripe seasonal tomatoes paired with briny olives complement the texture and flavors of the steak. I prefer to pan-sear this recipe, but grilling it is an option as well. This is also a great recipe for groups, so easy to prep ahead of time, leaving you plenty of time to spend with guests. 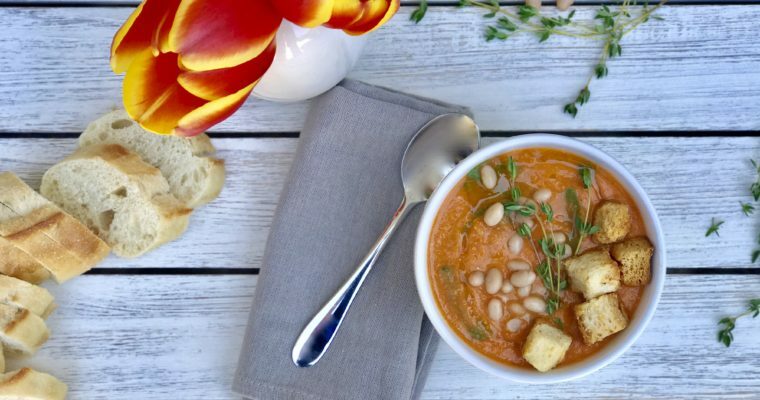 This recipe also works well served room temperature with a great crusty bread, making it a nice option for a Sunday lunch with friends. 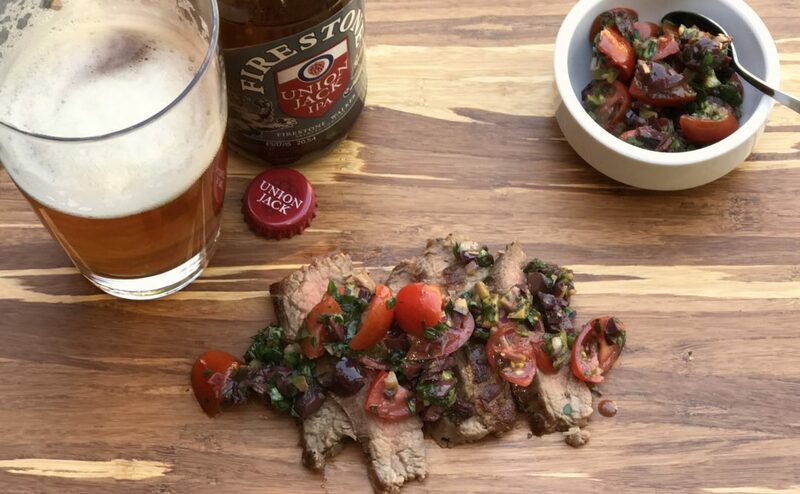 Serve this steak with a great IPA and you can’t get much better. Flank steak is beef steak cut from the abdominal muscles or lower chest of the cow, and it is often overlooked in the steak world. A less expensive cut, I like it because it’s versatile, you can be grill, pan-fry, broil, or braise it for increased tenderness. Not all cuts are so versatile. Marinating a cut like flank steak adds tremendously to the flavor and tenderness. Flank steak can handle a long 4-hour marinade if you have time to plan for that. While it’s not necessary in this recipe, I suggest you try that trick at least once. How to tell is the steak is done is a question I am asked often. The truth is, it’s tricky, by touch is the best method and the way I do it, but that just takes practice. Contrary to popular belief, cutting into your steak to take a quick look is also completely fine. There is really only a negligible amount of juices lost in doing so and therefore ok in my book. There is also absolutely nothing wrong with using a thermometer. A simple digital thermometer is a very useful gadget to have in the house, one that I like can be viewed here. 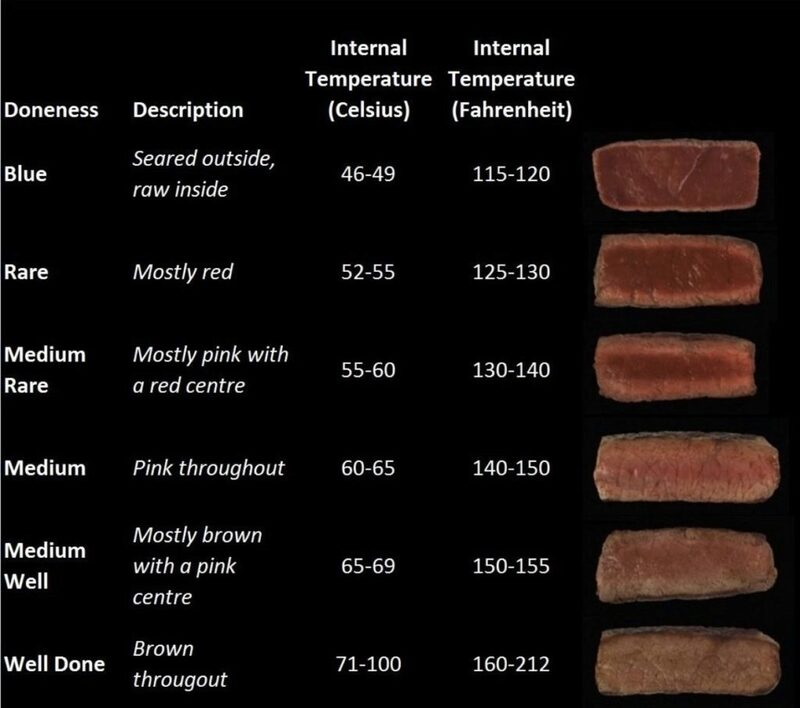 Above is a handy chart that gives you a simple breakdown of doneness, a description of what that means, temperature ranges and a great visual of how the meat looks. Step 1 For the Steak: Place the steak in a large shallow baking dish. Brush with olive oil and season with salt and pepper and set aside. Step 2 In a small mixing bowl add the thyme, rosemary, tarragon, garlic and mix well to incorporate. Step 3 Using your hands, evenly coat both sides of the steak. Cover with plastic wrap and refrigerate, the longer the better. Step 4 For the Relish: In a small mixing bowl add the tomatoes, parsley, both types of olives, basil, onion, olive oil and lemon juice. Mix well to incorporate and set aside. Step 5 Place a large sauté pan over medium-high heat. When hot, add the steak and sear until desired doneness, about 4 minutes per side for medium. Transfer the meat to a cutting board and allow to rest for a few minutes. Step 6 To serve, slice the steak across the grain in thin slices. 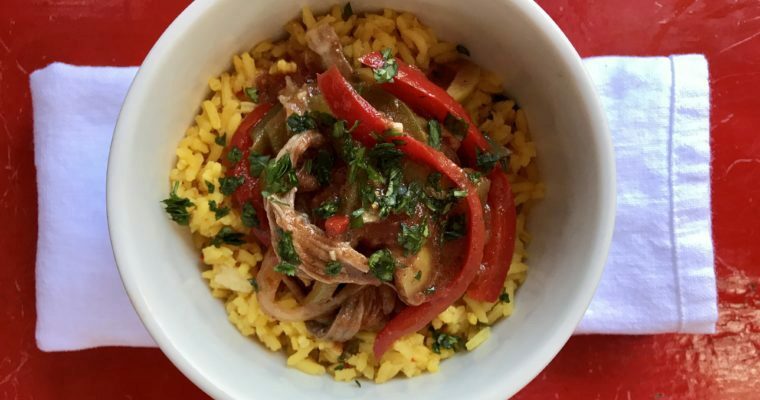 Arrange on plates or a platter and top with a heaping spoonful of tomato-olive relish.